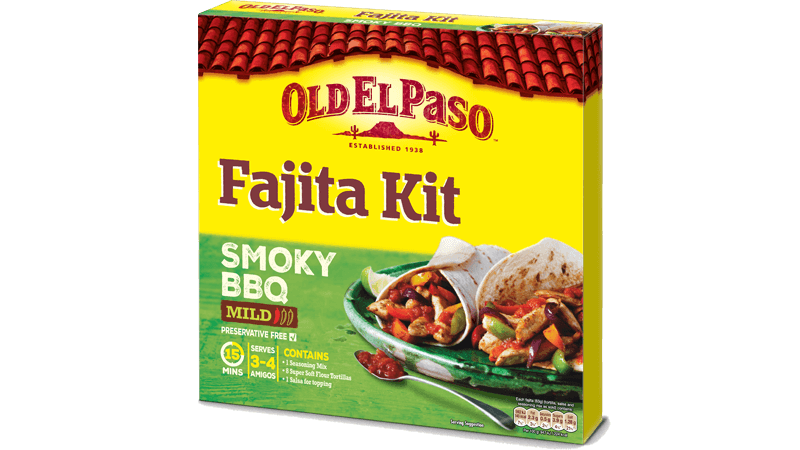 These smokey BBQ Mexican fajitas combines the best of traditional Mexican cuisine with the rich smokey taste of the deep south. Made with sweet and smokey BBQ chicken with crunchy peppers & onions, these chicken fajitas are a hearty Mexican favourite enjoyed best with family and close friends. 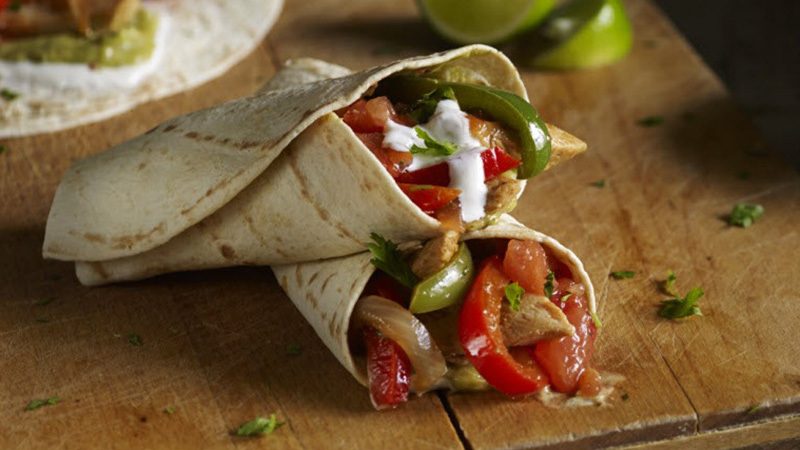 So dig in and get your hands dirty with these delicious chicken fajitas. Slice tender chicken breast, crunchy peppers and onion into thin strips. Add a splash of oil to a sizzling hot pan and stir-fry the chicken until thoroughly cooked. Throw in the onion, peppers and smoky BBQ Fajita Spice Mix. Sizzle away, stirring or tossing until the chicken is browned keeping the veg crunchy. Warm the tortillas by piercing the packaging and microwave on full power for 35-40 seconds (cooking time may vary depending on microwave).To heat in the oven, remove packaging, separate tortillas and wrap in foil. Crank the oven to 200°C (180°C for fan assisted ovens), gas mark 4 and slide in the tortillas for 10 minutes. Keep them covered and warm until ready to serve. Round up your amigos and load up the warm, soft tortillas with the smoky chicken and plenty of green and red pepper and enjoy this Mexican feast.